From a Rafale deal complaint to the Medical Council of India bribery case, from a probe into a coal mine allocation case allegedly involving IAS officer Bhaskar Khulbe to an investigation into the Sterling Biotech case. From a Rafale deal complaint to the Medical Council of India bribery case, from a probe into a coal mine allocation case allegedly involving IAS officer Bhaskar Khulbe to an investigation into the Sterling Biotech case in which Special Director Rakesh Asthana’s alleged role was being probed. These were among the works-in-progress files on CBI Director Alok Verma’s table when he was suddenly sent on leave Wednesday. He did not mention the cases in his petition, saying they were “extremely sensitive” and that he “shall however furnish the same” to the court. * A complaint against alleged irregularities in the Rafale fighter deal with France: The verification process of the complaint was on in the agency and, sources said, “a decision was to be taken”. The 132-page complaint was received by Verma on October 4, and had been filed by former Union Ministers Yashwant Sinha and Arun Shourie and lawyer Prashant Bhushan. * The CBI has been probing the role of highly-placed individuals in the Medical Council of India (MCI) bribery case, which implicated retired High Court judge I M Quddusi. The chargesheet against Quddusi, sources said, had been prepared and was ready for Verma’s signature. * The case of Justice S N Shukla of Allahabad High Court, who was sent on leave following allegations of corruption in medical admissions, had been identified as fit for investigation. Sources said a PE had been prepared and was awaiting Verma’s signature. * Another case being looked at by the CBI was BJP MP Subramanian Swamy’s letters to the CBI, complaining against Finance and Revenue Secretary Hasmukh Adhia. 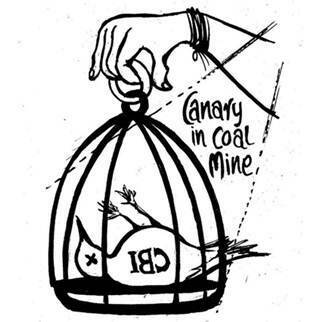 * The alleged role of IAS officer Bhaskar Khulbe, Secretary to the Prime Minister, is being investigated by the CBI in a case of allocation of coal mines. * In another case, a Delhi-based middleman was raided in the first week of October. An alleged pay-off list and Rs 3 crore in cash were found and the CBI was told he had a role in bribing politicians and officials for “senior Public Sector Unit appointments”. * The CBI probe into Sandesara and the Sterling Biotech case was nearing completion, and the alleged role of Asthana was being investigated.